One of my ex-colleagues recently approached me and asked me what really is considered a disaster recovery? There have been and will continue to be many discussions on this topic so much so that I’m sure I won’t encapsulate all that needs to be discussed, but I will express some of my views. I believe every business needs to have a strong disaster recovery plan in place. I have found in my own experiences that building a formidable disaster recovery plan can prove difficult as it is something most business leaders do not want to think about, but is something everyone needs to plan for. To me if I had to define out what a disaster recovery is I would state it this way. The ability to continue work after any number of catastrophic events – this could entail hacking, virus’ and up through natural disasters such as fires, floods, or tornadoes. I’ve heard people say that having a disaster recovery plan in place takes little time and effort – I tend to disagree. I believe it needs to be thought out and practiced on a routine basis. What are all the elements that are required to keep the business going. Having a generic disaster recovery plan in place, while better than nothing at all I assume, is not the way I would approach it. I really do believe it should be tailored to what the business needs are. Just copying a template of someone else’s recovery plan or design can provide perhaps some great ideas but could and probably will leave out some critical aspects of what your business needs are. I am a firm believer in planning up front; crafting an individual disaster recovery plan; mapping out the most critical aspects of the business; and then implementing on how and what the processes are to ensure process flow is maintained. A friend of mine experienced a disaster not long ago, the company did not have a steady disaster recovery plan in place and the one they did have was years old. Needless to say they had to learn a lesson the hard way. I ask this question with the utmost respect and urgency as a DBA, in the event of a disaster, will your business have the ability to pick up the pieces, get back to work, or will things grind to a dead halt? Do I think it is possible to plan for every event, no I do not; however I do believe wholeheartedly that it is possible to have a solid, firm disaster recovery plan in place that can make all the difference when a disaster does hit. 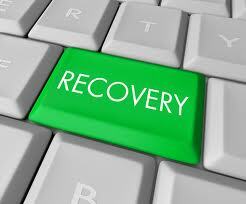 Disaster recovery is to me in my experiences a difficult but necessary topic of business. I hope that you never have to rely on a disaster recovery plan, but if you do at some point you will definitely be glad that you planned ahead for it.